This Romania Motorcycle Tour takes you on some of the best motorcycle roads in Europe. 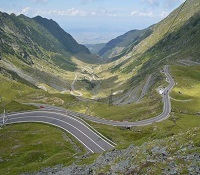 Transfagarasan Road, Transalpina Highway, Transbucegi or Transrarau will all open their roads for you in an amazing Romanian motorbike experience. The itinerary is complemented with excellent accommodation, traditional food and drinks as well as breath-taking views. 15 days guided motorcycle tours, Malaga, Spain, departure from €4029! 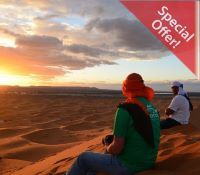 In these guided motorcycle tours you will ride yor motorbike from the picks of the Atlas Mountains to the sand dunes of the Sahara Desert and the beaches of the Atlantic Ocean. Therfore every day has a new discovery! This is the Gateway to Africa, this is Morocco! 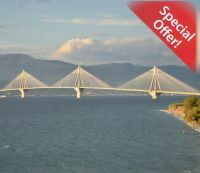 11 days guided motorcycle tours, Thessaloniki, Greece departure from € 2949! Enjoy your Greek odyssey becasue this realm has been the birth place for democracy and a cradle of civilization. Great motorcycle riding on some of the best motorbike roads in Greece, all topped with traditional food and drinks, history, culture, nature, beaches, relaxation. 18 days guided motorcycle tours, Turda, Transylvania departure from € 6098! Eastern Europe reveals its best. So winding roads, reach culture, UNESCO World Heritage sites, the Adriatic Sea and delicious traditional cuisine. Ride the best motorbike roads of eight South Eastern European countries in an incredible motorcycle adventure! 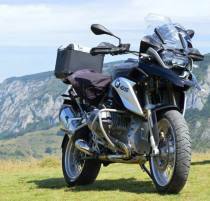 1 day private motorcycle tour, Turda (Transylvania) departure, from € 190! 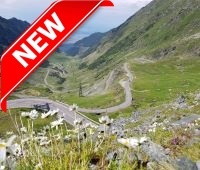 Experience riding The Best Road in the World – Transfagarasan Road in Romania. Cross over 830 small bridges and 27 viaducts on a road filled with hairpin curves. 6520 tons of dynamite were used in order for this road to be built. In conclusion: let's ride the bikes in this Romania Motorcycle tour! 7 day tour, Cluj-Napoca (Transylvania) departure, from € 989! A tour focused on revealing the. Departing from Cluj Napoca, one of Transylvania’s largest urban centres the itinerary ventures into the heart of the county offering rides trough picturesque villages, breathtaking scenery and important cultural centres. In addition the itinerary of this motorcycle tour in Romania is complimented bymeant not only to provide you with all the comfort but also to introduce you to and capture the specificity of the visited area. 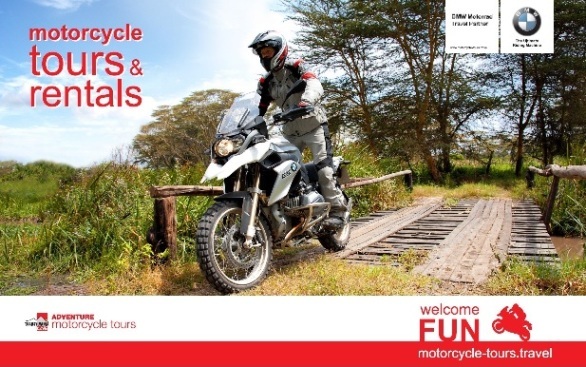 Rent a motorcycle BMW G650GS, BMW F800GS, BMW R1200GS or BMW R1200GS LC! Available in Transylvania from Cluj-Napoca, Turda or Targu Mures. Motorcycles available for rent from Bucharest, Brasov, Budapest, Sofia and Belgrade. For all machines, the minimum age is 21 years old and hold a full, unrestricted motorcycle license. Click here for motorcycle rentals ! 4 day Short Break, Cluj Napoca (Transylvania) departure, from € 569! Enjoy an amazing Ride in Transylvania in this incredible four day motorcycle Short break in Dracula’s County. Enjoy riding some of the best roads in Europe such as Transfagarasan Road and Transalpina Road, crooked and challenging, perfect for a motorcycle getaway. 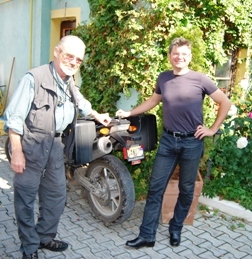 Motorbike rental from Transylvania included. Interested in reading some more opinions on Adventure Motorcycle Tours?
. Click to see the video! Written by Gustavo Cuervo an experienced motorcycles journalist, that travelled more than 80 countries on five continents, Europa en Moto has all that a biker need to ride in Europe: itineraries ideas and how to prepare a motorcycle tour. Claudia Palfi of Transylvania Live has helped with the writing of Eastern Europe section of this guide. Read more articles about us in the press! More than 10 journalists from various motorcycle magazines from BMW ON USA, Circletorque Australia, 100% Biker and Riders Digest from UK, Motorad Magazin Germany and Motorcycle Mojo Canada has done The Best of Transylvania motorcycles tour. If you are a member of the press interested in a press trip please contact us! 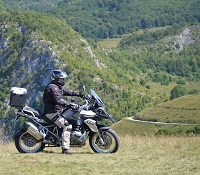 Adventure Motorcycle Tours - Transylvania Live specialises in motorcycle tours and we are here to offer you a personal, flexible and highly efficient service. Therefore, if you have any other queries or you would like to adapt your package in any way, we will be pleased to offer you any assistance that you may require.